Due to the weather, June's service HAS BEEN POSTPONED until 2 PM Friday, February 8th at Peace Lutheran Church in Ashby. June Delores (Lynne) Lacey, 89 of Ashby died January 25, 2019. June was born on May 2, 1929, in Fergus Falls, Minnesota, the daughter of Gilfred Justus “Bob” and Mollie (Lundhagen) Lynne. She was baptized and confirmed in Pelican Lake Lutheran Church in Ashby. June graduated Salutatorian from the Ashby High School in 1947, was offered scholarships from Concordia College in Moorhead and Luther College in Decorah, Iowa and attended Concordia College. She was employed as a Selective Service Clerk working between Elbow Lake and Breckenridge and worked with Clara B. Wright at her Dress Shop in Fergus Falls. June modeled and acted in the Minneapolis and St. Paul areas. She was in twenty-four feature films, appeared on seven television shows and did commercials, in addition to print work. She made it to the final cut for "Last Comic Standing" on NBC at the Acme Comedy Club in Minneapolis, where she was also a finalist for the "Funniest Person in the Twin Cities" competition. In addition, June served as a community television talk show host and inspirational speaker. June loved helping her community by volunteering. She was Assistant Director for the Strides for Stroke Walk in Fergus Falls, Co-Chair for the Midwest Walk & Roll for the Christopher and Dana Reeve Foundation, served on the Leadership Committee for the Relay for Life, was on the steering committee for the Susan G. Komen Breast Cancer Foundation Race for the Cure for years and helped with Multiple Sclerosis Society Bike Rides, Walks, Information Booths and Root Beer Float Days. June worked the American Cancer Society World's Largest Garage Sale for many years, helped at the Animal Humane Society and raised money for their Walks. She volunteered for the Leukemia Light the Night Walk, American Lung Association Walk, Epilepsy Foundation Fundraisers, Arthritis Foundation Jingle Bell Run, American Diabetes Association Walks and Expo, the American Heart Association Heart Walk, Cystic Fibrosis Climb for a Cure, Lake Region Runs and Triathlon. She volunteered at Veterans Homes and Veterans Hospitals, helped with Stand Down events for homeless vets and disabled American veterans and the Boots On the Ground fundraisers. She served meals, rang bells and helped with Toys for Tots for the Salvation Army. She delivered and helped pack grocery bags for Jingle Bells in Alexandria, volunteered with the National Wildlife Federation, volunteered with Abbey's Hope, helped annually with the Craftworks Foundation Miracle Project, served meals at the Union Gospel Mission and helped pack Thanksgiving bags. June also volunteered with the Twin Cities Marathon, Choir for a Cause, St. Paul Winter Carnival, Minneapolis Aquatennial, Prairie Rose Games, Fargo Marathon, hospice, church fundraisers, Muscular Dystrophy Association Telethon and Children's Miracle Network fundraisers. She founded Project Bear Hugs, bringing clothing, food, entertainment and stuffed animals to nursing homes, Veteran's Hospitals, shelters, Children's Hospitals and to disaster victims. She loved doing mission work and helping the Billy Graham Association. June was active in the Navy League, Sons Of Norway, American Legion Auxiliary, Historical Society, Festival & Heritage Foundation, Winter Carnival Ambassadors Association, church, the Minnesota Institute of Arts, community theater, Center for the Arts and Public Television, just to name a few. She was Ms. Grant County Senior America and Ms. Minnesota Senior America 2016 and went on to the national pageant in Atlantic City, NJ, in 2016. She was crowned Ms. Senior Minnesota USA 2017 and went on to the national pageant in Las Vegas. 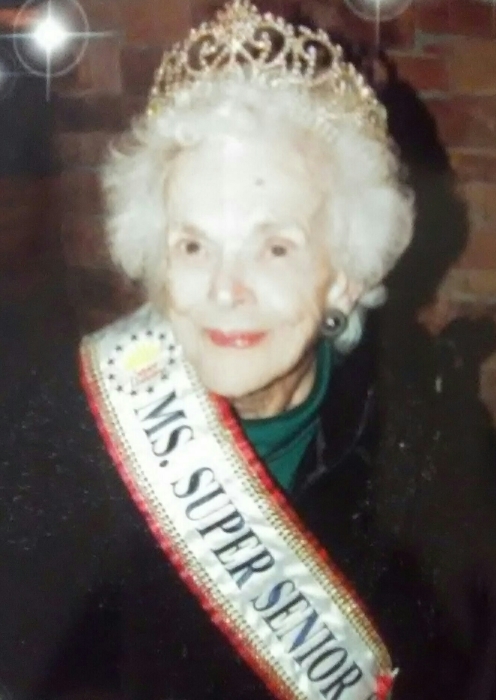 She was crowned Ms. Super Senior Minnesota USA in 2018 and went to Nationals in Las Vegas, NV, where she was selected as the National Miss Congeniality, National Ms. Sweetheart USA 2018- 2019. June has received numerous awards, a few of which include the Senior of the Year Award for over 80 years of dedicated community service and volunteer work, the WCCO Volunteer of the Year Award, the Outstanding Women of America Award, the Who' s Who Among American Women, the Distinguished American Award, the Minnesota State Fair Fifty Year Award, the Lifetime Achievement Award, the Outstanding Senior Citizen Award, the Good Neighbor Award, the Most Inspirational Volunteer Award, the CW 23 Saints Baseball Community Award, the Women's Expo Mother of the Year Award and the Vet's First Honor Guard Award. In addition, June was recognized for her outstanding support, commitment and dedication to helping build the National World War II Museum. She was also named New Star Discovery Celebrity Star Senior. June lived her life to the fullest, always thanking and praising God for the many blessings He bestowed upon her, always trying to share those blessings with others. The Lord was her strength, her song and her salvation. She was truly an inspiration to all! June is survived by her daughter, Joyce Lacey; and by numerous relatives and friends. She was preceded in death by Max Lacey and her parents, Gilfred Justus (Bob) and Mollie Lynne. Funeral Service: 2 PM Thursday, February 7, 2019, at Peace Lutheran Church in Ashby. Visitation Monday February 4 from 4-7 pm at KESSLER & MAGUIRE FUNERAL HOME 640 W. 7th St. St. Paul 651-224-2341 with a service at 6 pm. (refreshments will be served). Visitation: Wednesday from 4 to 7 PM, with a 6:45 PM Prayer Service, at Glende-Nilson Funeral Home, Ashby, and one hour prior to the funeral on Thursday.